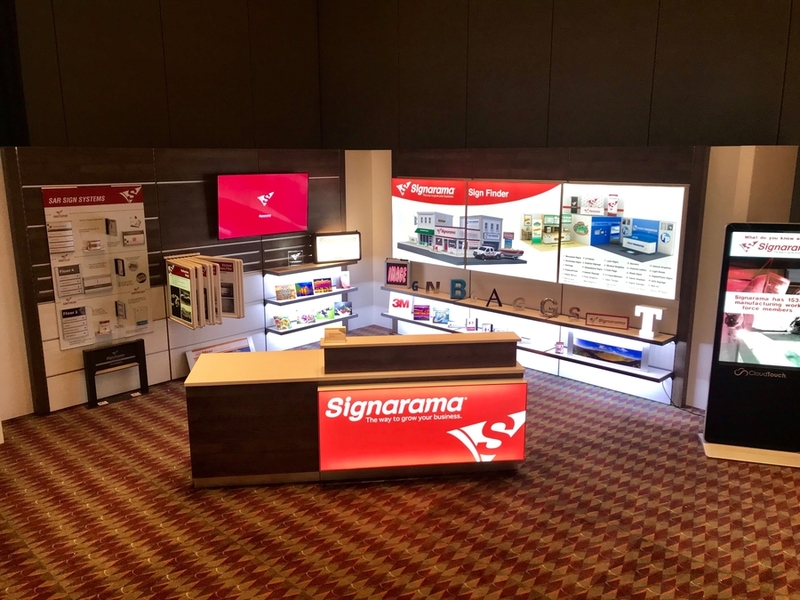 WEST PALM BEACH, FL, March 27, 2018 /24-7PressRelease/ — Signarama®, the world’s largest sign franchise, is taking the next step in product innovation and customer engagement with their new, interactive showroom design. With the new look and feel of each store showroom, customers can not only see photos of what their sign products will look like but can touch and feel different substrates to get a truly “hands on” experience. Signarama specializes in custom designs of business signs, banners, decals, vinyl lettering, yard and political signs, trade show displays, and more. With the new interactive showroom, a customer can note the differences between window clings, window perforation and window graphics. The showroom design also features tables and chairs for in-depth, sit-down consultations with Signarama’s design experts to ensure each client’s needs are flawlessly matched to produce outstanding results. Impactful signs are the key to business advertising. Signarama’s business tagline is, “The Way to Grow Your Business,” and the new consultative look and feel of store showrooms will help answer the need for custom signs that serve each customer’s business advertising and growth goals. For more information about Signarama and its franchising opportunities, visit www.SignaramaFranchise.com.